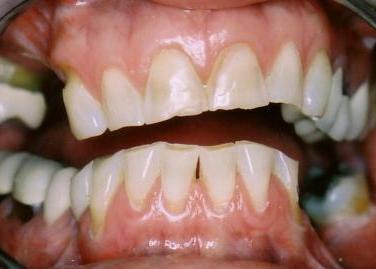 This 45-year-old patient has very worn down front teeth on her upper and lower jaw. Post-op photo: Six porcelain veneers were constructed. 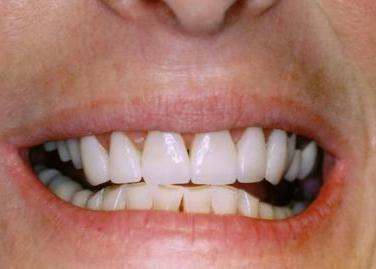 (Phase I treatment) Note the excellent esthetics and the positive smile line.